5.0 Earthquake hits the Philippine Islands. Tropical depression Three is located approximately 308 nm south-southeast of Andersen Air Force Base, Guam. Fiji – Fiji has been hit by heavy rains and flooding as the latest tropical depression approaches the country. Fiji will likely be spared the worst of a tropical depression that’s formed over the country. Heavy rain over the past two days has brought flooding to several parts of the main island of Viti Levu, including the capital Suva. India – At least four people have been killed when heavy rains accompanied by a hailstorm and winds hit several parts of Marathwada, India. Li Guixin, a resident of the capital of northeast China’s Hebei province, has become the first person to sue the communist government for failing to rein in air pollution. Despite late February’s extremely hazardous pollution levels, officials still didn’t feel the smog was bad enough to curb the use of cars and trucks. But they did ban barbecues, fireworks and demolition work. A new report by the China Agricultural University warns that the country’s growers will suffer conditions “somewhat similar to a nuclear winter” if something isn’t done to combat air pollution. It says the smog is impeding photosynthesis, especially in greenhouses that are becoming covered with airborne pollutants. 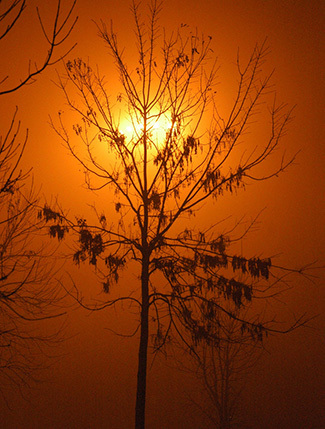 The coating can cut the amount of light from the sun by about 50 percent, the report says. Along with native Arctic whales including belugas and bowheads, the microphones recorded the songs of sub-Arctic whales, such as humpbacks, minkes, fins and orcas. The microphones recorded humpbacks’ melodious songs into late autumn. And oceanographers observed fin and minke whales from July to September, and their vocalizations were recorded into early November. The northern seas provide more hospitable habitat for southern species, as the far north warms quicker than the rest of the planet and sea ice retreats. 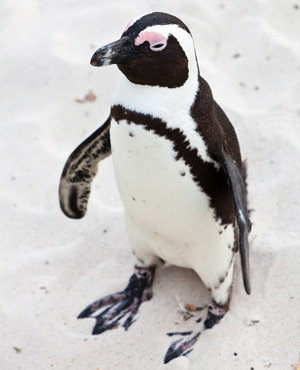 A fishing trawler that spilled 10 000 liters of diesel fuel after it collided with rocks near the Stony Point Penguin colony has placed the lives of 4 000 penguins in jeopardy. The collision occurred 5km away from the colony and resulted in the death of one crew member. CapeNature’s seabird and animal rescue team has been stationed near the accident epicentre to determine the extent of the diesel contamination on the wildlife. Conservationists are trying to rescue as many penguins and seabirds as possible by creating a perimeter around the colony, in the hopes of isolating the birds away from the spill site. The week’s hottest temperature was 109.4 degrees Fahrenheit (43.0 degrees Celsius) at Vredendal, South Africa. The week’s coldest temperature was minus 70.1 degrees Fahrenheit (minus 56.7 degrees Celsius) at Russia’s Vostok Antarctic research station. According to the Disaster Prevention and Mitigation Department, 15 provinces in Thailand have been declared drought disaster zones. Forest fires have been reported around Caiyun in Lufeng County in Chuxiong Yi Autonomous Prefecture in China. More than 1,270 people have been mobilized to put out the fire. On 23 and 24 February 2014, the National Health and Family Planning Commission (NHFPC) of China notified WHO of five additional laboratory-confirmed cases of human infection with avian influenza A(H7N9) virus. On 25 February 2014, the National Health and Family Planning Commission (NHFPC) of China notified WHO of an additional laboratory-confirmed case of human infection with avian influenza A(H7N9) virus. 6.1 Earthquake hits the Fox Islands in the Aleutian Islands off Alaska. 5.3 Earthquake hits the Drake Passage. The tropics are heating up across the Pacific Basin with three areas of concern being monitored. One of these areas could yield the year’s first typhoon in the western Pacific. Most of the Pacific has been void of organized tropical systems so far this month, but that will change as February gives way to March. Tropical development is imminent southeast of Guam, while a tropical cyclone is expected to soon take shape near Fiji. This weekend through early next week, yet another tropical cyclone may form south of the Solomon Islands. Mozambique- Last week’s flooding in Namacurra and Maganja da Costa districts in the central Mozambican province of Zambezia destroyed 1,340 houses. Torrential rains caused the Licungo river to burst its banks, submerging over 7,000 hectares of crops, 6,500 of which are regarded as lost. The floods had inundated 5,000 houses, 450 classrooms and seven health units. Roads in the two districts had become impassable. USA – A Landslide near Damascus, Oregon has shut down the Oregon 224 highway in both directions. Today is International Polar Bear Day. Here are some facts about the furry beasts. An adult male polar bear typically weighs between 775 and 1,200 pounds (351 to 544 kilograms), or the weight of about five to seven men. The largest polar bear ever recorded was a male weighing 2,209 pounds (1,000 kg), according to Polar Bear International. By contrast, adult females weigh only half as much as males, or 330 to 650 pounds (50 to 295 kg). But the bears are tiny when they’re born, weighing only about 1 pound (0.5 kg). Males reach their adult size between ages 8 and 14, while females reach full size between ages 5 and 6. If a polar bear doesn’t eat for seven to 10 days, it can slow its metabolism until it finds its next meal. They survive off of fat reserves from their diet, which consists mostly of ringed and bearded seals. (But climate change is making food more scarce and driving some bears to cannibalism.) The bears don’t hibernate, but mother bears live in dens while they raise their cubs. While mothers are in their dens (generally between January and March), they don’t eat, drink or defecate. Although polar bears appear white, their fur is actually transparent. It only appears white because it reflects visible light. Under their fur, polar bear skin is actually black. To humans and other animals that can only see in visible light, the bears appear to blend in with their snowy surroundings. But reindeer, which polar bears sometimes prey on, can see in ultraviolet light, which makes polar bears stand out from their snowy environment. Polar bears have a keen sense of smell, which they use to find prey. A polar bear can sniff out a seal on the ice 20 miles (32 kilometres) away, and can smell a seal’s breathing hole in the ice more than half a mile away, according to the National Zoo. Polar bears rely on sea ice to hunt, and studies predict that global warming could melt enough sea ice to make two-thirds of polar bears disappear by 2050. 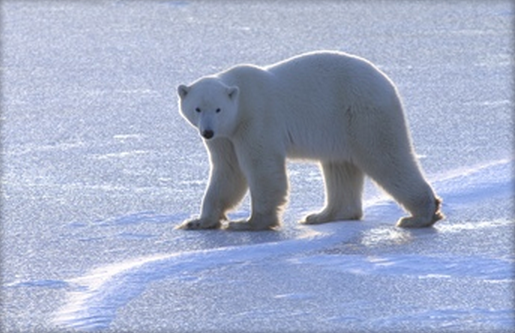 The decline in sea ice has forced the bears to swim longer distances, consuming energy they cannot afford to use. Stretching across a vast volcanic plain in Peru, the Quelccaya Ice Cap is the tropics’ largest sheet of ice—for now. Climate shifts are taking their toll, according to scientists who note that the glacier has been not only losing ice over the last few decades but doing so over an accelerating rate. And following a study recently published in the journal Geology, many scientists are now more certain than ever that the ice loss is due to rising temperatures. It may hardly sound like a surprise that a glacier’s retreat would be due to warming climate, but researchers monitoring the Quelccaya and other shrinking glaciers in the tropics have had their honest doubts. Some have hitherto suggested that decreased snowfall might be the culprit, for example. The Geology study, however, identifies temperature as the first and foremost driving factor. Led by Justin Stroup, a Dartmouth College doctoral candidate in Earth sciences; and Meredith Kelly, a Dartmouth assistant professor of Earth sciences; the study’s research team compiled extensive data on the Qori Kalis, a valley glacier that is a major outlet for the Quelccaya Ice Cap, and constructed a timeline of this glacier’s waxing and waning across the past 500 years. Next, they compared the glacier’s movements to records of ice accumulation on the Quelccaya plateau. Long cylinders of ice previously drilled and extracted by Lonnie Thompson, an Ohio State University geologist, were the source of these records. If snowfall is the main factor behind the ice gain or loss, then the valley glacier should gain ice when more ice accumulates on the Quelccaya, and lose ice when the Quelccaya’s ice accumulation hits a dry spell. Stroup, Kelly, and their team found the opposite: The valley glacier lost ice during some periods of high accumulation and gained ice during some periods when the Quelccaya’s ice accumulation was low. Temperature, not snowfall, is evidently the chief driver, according to the researchers. They have the backing of Thompson, who has long argued that the glacier could be thought of as a large thermometer. Their conclusion is a troubling one as far as this glacier is concerned. Thompson’s analyses indicate that in the last 25 years, the glacier has lost a volume of ice that took 1,600 years to build up. This glacier is no anomaly, by the way. Land ice is melting across the tropics and throughout the planet, and showing marked increases in the rate of ice loss during the last three decades. Quelccaya could be a microcosm of melting trends throughout the globe, according to the researchers, who plan to conduct further studies of more glaciers elsewhere on the globe. Record dry conditions and high winds throughout January sparked wildfires in parts of Norway, and fire danger persists in central and southern regions. According to media reports, in total, around 200 homes have been destroyed in Norway since January. One fire in the mid-Norway coastal area of Flatanger affected 139 houses in late January, according to local police. Earlier, another fire in the southern heritage village of Laerdalsoyri had destroyed 40 houses. Since these late January fires and after weeks of dry weather, rain has since fallen and mitigated the risk of fire in some places. However, in parts of central and southern Norway, fire bans are still in place as dry weather is forecast for the coming days. Kilauea (Hawai’i): Last night a swarm of very deep earthquakes occurred in the area of Punalu`u on the SW flank of Kilauea in the Ka`u district of the Big Island! Popocatépetl (Central Mexico): The volcano’s activity increased yesterday. CENAPRED counted no less than 544 small to moderate emissions during the 24 hours between 25-26 Feb. An overflight with the support of the Navy yesterday afternoon showed that the most recent lava dome (number 48) had been destroyed by this activity. At its place, a new funnel shaped pit, approx 80 m deep was seen. At the bottom of this crater, a new lava dome of 20-30 m diameter already made its appearance. The elevated activity had been preceded by volcano-tectonic earthquakes of magnitude 2.6 and 1.6 yesterday and the day before. The volcano’s alert level remains unchanged at “Yellow phase 2”. 5.2 Earthquake hits the Alaska Peninsula. 5.1 Earthquake hits the Drake Passage.